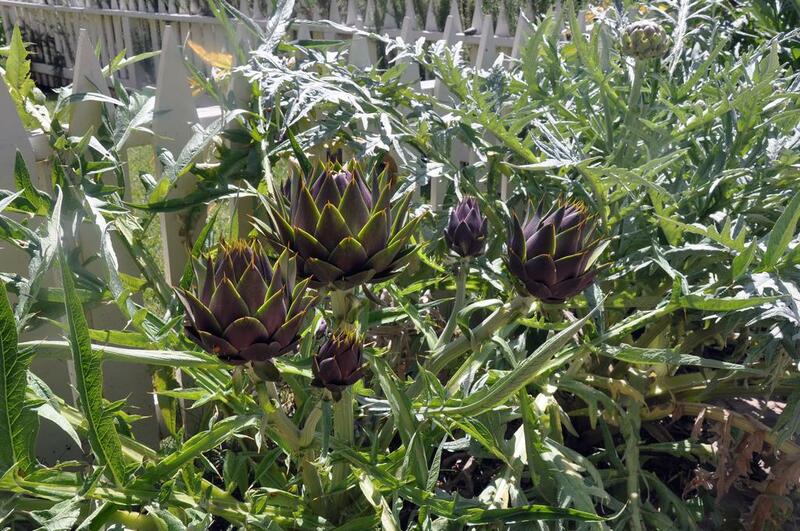 Homegrown artichokes are super easy! Six plants are a fence border next to the driveway. They produce for 5-6 years. Only thin you need to do is cut them back to about 6-12" inches after the harvest - they'll just grow back every year! You can save the leaves and eat plain or dipped in melted butter. For this recipe you just need the hearts. Pull those out and chop roughly. Cube the bread before you toast it. If you do the reverse, when you try and cut toasted bread you'll just get crumbs. I like dressings heavy on the lemon and mustard, and with fresh herbs. You can use dried, but you know the saying - "fresh is best!" 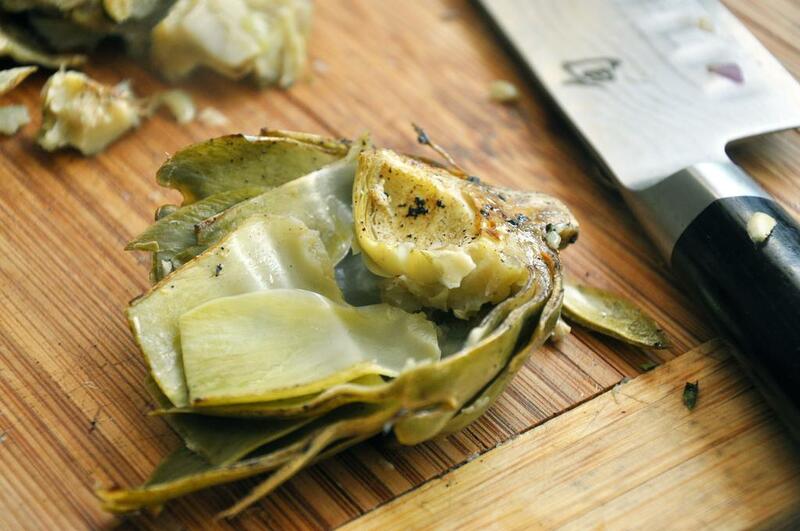 For the artichokes, follow my Grilled Artichoke recipe, but use lemon slices from a whole lemon, cook just 10 minutes, and omit step 3. After grilling, remove and let cool. Then remove the hearts and chop roughly. Set aside. Alternatively, use canned or frozen artichoke hearts, grill and chop. Meanwhile, use 1/2 Tbsp oil to brush on onion slices, grill 2 minutes per side and remove. Chop roughly. 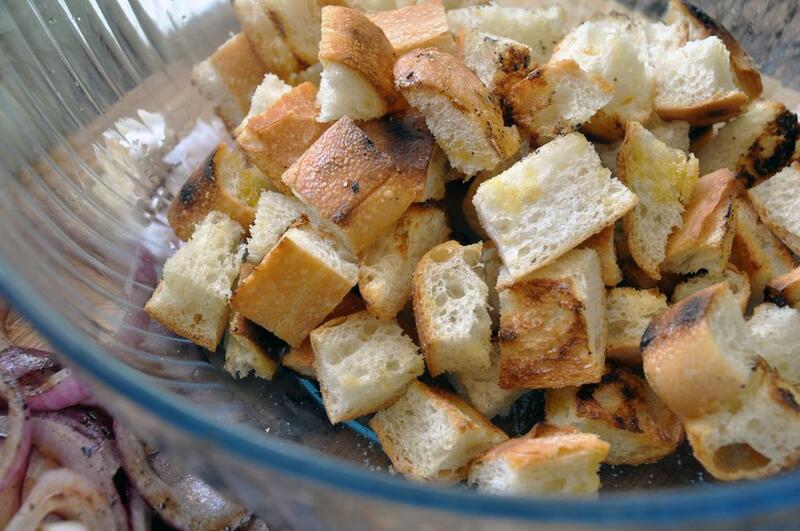 Using another 1/2 Tbsp oil, toss bread cubes until coated. Grill 5 minutes and remove. 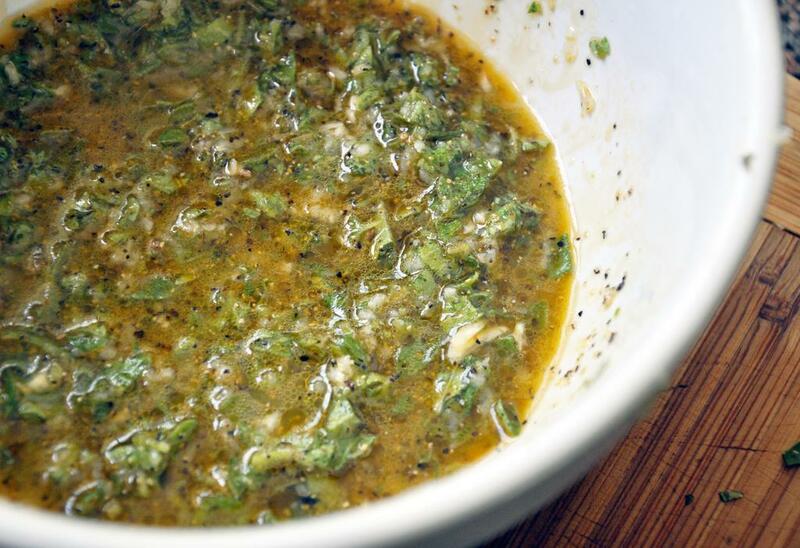 Make the dressing by whisking together remaining 2 Tbsp EVOO, oregano, lemon juice and black pepper. Set aside. 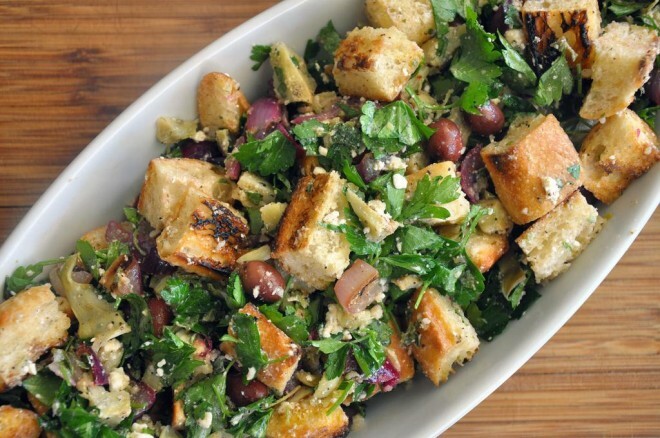 To assemble, place the artichoke hearts, onion, bread cubes, parsley, olives and feta in a large bowl. Drizzle dressing over top and mix well. Serve at room temperature.